In commending the Philippian Church for her “participation in the Gospel” (Phil. 1:5), the Apostle Paul was thanking her for her prayerful financial support of his missionary labors (Phil. 4:15-20). Even as a young church plant, the sincere ambition of Trinitas Church is to participate in the ministries of others, as they advance the Kingdom of God in Western Washington, and unto the remotest corners of the earth. Therefore, the visitors, supporters, and congregants of Trinitas Chruch may be blessed to know that they also support the several ministries listed below. Please, prayerfully consider blessing these individuals and organizations directly. The Northwest Church planting Network provides prayer and financial support for the work of church planting in the Pacific Northwest, through the membership of several PCA churches in Washington, Oregon, and Idaho. In facilitating PCA church plants, the Network is devoted to planting and growing churches that are committed to preaching the Gospel, reliant on the Word and Sacrament, and on a trajectory to persist in blessing their communities for many years to come. Trinitas Church is both a thankful beneficiary of the Northwest Church Planting Network’s ministry, and an enthused supporter of it. To learn more about the Network, look here. Missionaries Jon and Katie (Last name not included for their safety) Jon is a graduate of Covenant Seminary, and an ordained minister in the Presbyterian Church in America. 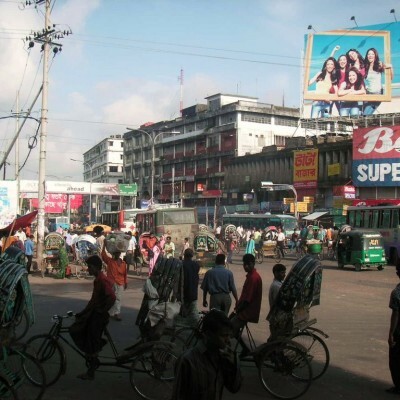 After spending several years in Bangladesh, learning to speak Bangali, and becoming well acquainted with the culture, Jon met his wife to be Katie, who also had significant missionary experience, and expressed interest in missionary work in Southeast Asia. Currently, the two are about to embark on a long term mission to the region, with a focus on training pastors working in tribal villages. For more information about their missionary work, look here. The Multiplication Network is a non-denominational organization, that is committed to providing resources and training to churches and church planters all over the world, and to cultivating healthy and lasting bonds of relationship between existing churches and church plants. The Multiplication Network has had a hand in blessing over 5,000 church planters worldwide. For more information about the Multiplication Network, look here.